As a physician who has worked with addiction, I have seen people struggle with the physical and psychological effects of maintaining sobriety after opioid withdrawal. Many months of triggering situations, and stress of rebuilding a healthy life can be overwhelming, and in many cases, lead to relapse and shame. The medical community has recognized that addiction is a disease state, much like diabetes, in that it is chronic and relapsing in nature. Opioid addiction is the most difficult addiction to overcome. There is a very high relapse rate. Many people who are addicted have responded best to treatments that combine pharmacological and behavioral interventions. Increasingly, the medical community in addiction recognizes the need to treat the opioid addicted individual with medication, at least for a short while, to control physical symptoms. The person in early recovery can then focus on learning life skills, repairing relationships, developing community support and getting treatment for other mental and physical health concerns. Experts are working on new treatment options and protocols. The best option would be for a medication that relieves physical symptoms and cravings, is not addictive or habit forming, has few side effects, is not expensive and has a flexible protocol so that it can be tailored to specific patient needs. Currently, the two most commonly used medications for opioid addiction treatment are: buprenorphine (Suboxone) and naltrexone (Vivitrol). Suboxone is an opioid agonist, meaning that it acts just like an opioid. It is great at relieving symptoms, but just like the problem opioids, it can be abused and tapering off the medication can be slow and somewhat difficult. It is a small film that is dissolved under the tongue, usually once daily. People using this medication can continue work or go to class, and feel “back to normal”. Naltrexone is an opioid antagonist. It blocks all opioid activity. If an opioid is used while the naltrexone is in the person’s body, it will have absolutely no effect. It controls cravings and the person feels satisfied. Naltrexone is available in daily tablet or monthly injectable forms. Most people find the monthly injectable form to be the most effective as they avoid the daily decision or opportunity not to take the medication. However, the injectable form is very expensive. Probably the best opioid addiction treatment scenario for young, college-age students, at this time is to begin detoxification and early maintenance treatment with Suboxone. After several weeks or months of stable recovery, they would then switch to the naltrexone injectable. However, every treatment plan must be carefully tailored and monitored for each person. Researchers are working to develop more understanding of the science of addiction, so as to develop better more effective medications for treatment in the near future. Medication is simply another “tool” to assist in recovery and building a healthier life. Recovery involves counseling and community support. Some people need a more prolonged medication treatment plan as there is more “work” to do. There are many triggers and pitfalls to avoid in college life. The “people, places and things” of college life often involve casual and formal situations where drugs and alcohol are available, and expected. Medical professionals may unknowingly contribute as they prescribe pain medications or cough suppressants. There are stressors of academia and relationships which can cause a student to “search out” a familiar comfort from the past. 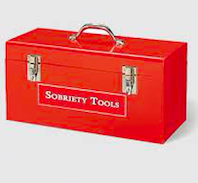 College students trying to pursue their education while in recovery need every available “tool in our toolbox” to assist them in their journey. 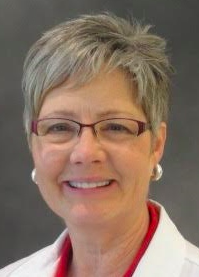 Dr. Kathy McKee is a physician working at The Ohio State University Student Health Services. She is board certified in Family Medicine and Addiction Medicine and has worked in drug and alcohol rehabilitation, public and occupational health, as well as private practice. Do you know of any research that supports a Suboxone then Vivitrol protocol to treat opiate addiction?